Air101: Turkish Airlines added Sharjah, its third destination in the UAE, to its flight network. Turkish Airlines is consistently trying to enhance its flight network and the firm introduced another new route this week. 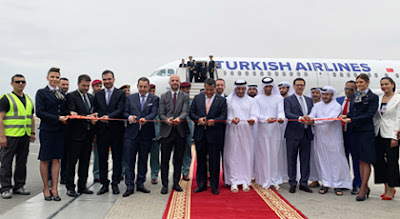 The Turkish national flag carrier has now started scheduled flights to Sharjah, one of the favourite tourism centres of United Arab Emirates. Sharjah became the 307th destination that added to the extensive flight network of the global brand. Selected as the Cultural Capital of Arab World in 1998, Sharjah is a coastal destination away from the desert heat and it is the third biggest and third most populous emirate of United Arab Emirates. Modern but old, crowded but peaceful, Sharjah’ rich history, culture and economy attracts the passengers travelling here.